I can adjust the font size of the labels on a pie chart, but can't work out how to change the font size of the data title bar. I have a very long data title, and it is not visible with the current font size. Can this be done? 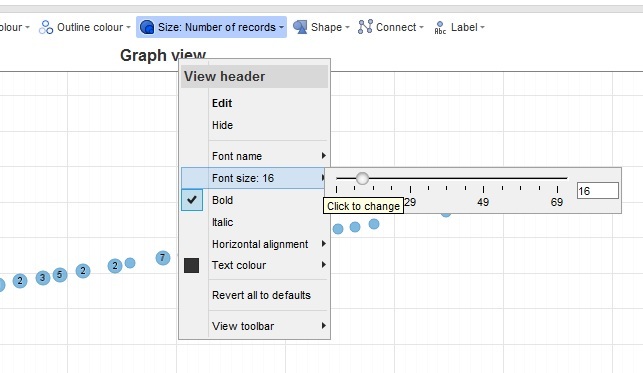 You could try to reduce the header font size to fit more in (right-click on the title will open the menu), alternatively you can place a Content view above the graph and enter multiple lines of text.